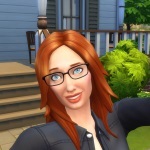 Players Challenges are series of goals or something to achieve within The Sims Freeplay. These kind of challenges are as old as The Sims series. They tend to be fun and are something different to do with the game. There are two types of challenges, "guided story mode" and "reach the target". An example of guided story mode is the "Lost at Sea" Challenge you find on this subforum. An example of reach the target is "The Homeless challenge" which you can also find in this subforum. If you like to add a challenge, be sure to think it through before posting. The Lost at Sea Challenge was written completely before posting and tested on a game for feasibility. You don't have to post them day by day like I did, you can post all the days for the challenge in one go. A "reach the target" challenge requires only one post usually. These kind of challenges are honour based, it's all about friendly fun. Re: What are Players Challenges? What a fun idea, I will def try this out!